Spring dead spot is the most destructive disease of bermudagrass turf. As the name implies, symptoms of this disease appear in the spring when bermudagrass resumes growth from winter dormancy. Spots, patches and rings of bermudagrass appear to remain dormant, but in actuality are completely dead, killed by the Ophiosphaerella pathogen during winter dormancy. Zoysiagrasses are also susceptible to spring dead spot, particularly course-textured japonica varieties, and may benefit from a spring dead spot prevention program. 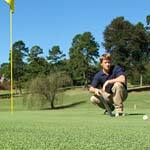 Syngenta is proud to introduce Posterity® fungicide, a new option for spring dead spot control in golf course turf. Posterity is a novel SDHI fungicide with potent activity against spring dead spot, fairy ring and dollar spot. 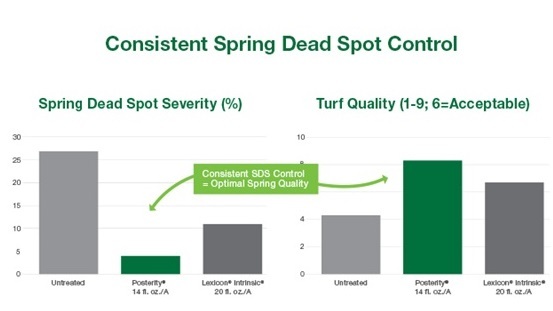 Posterity is the most active fungicide against the spring dead spot pathogen, delivering the most consistent and effective spring dead spot control in research trials. Although the symptoms appear in spring, fall is the key time to protect your greens against spring dead spot. Preventive applications must be made before the bermudagrass goes dormant so the active ingredient can be absorbed and translocated. In most areas of the transition zone, two applications on a 28-day interval beginning in mid- to late-September provide excellent spring dead spot control. In the case of a prolonged warm and wet fall, a third application in November or December may be warranted to ensure protection through the winter dormancy period. Two applications of Posterity on a 28-day interval, beginning in fall when soil temperatures are consistently below 70° F, are recommended to prevent spring dead spot. Treatments applied to MiniVerde® Bermudagrass on Sept. 22 and Oct. 20, 2016. Data collected April 28, 2017. Source: Bruce Martin, Clemson University, Florence, SC, 2017. Syngenta continues to offer Velista® and Headway fungicides, which remain very effective options for spring dead spot control. In addition to spring dead spot, Velista (0.5-0.7 oz./1,000 ft.2) provides effective control of large patch, which is mostly known as a zoysiagrass disease, but does occur on bermudagrass during periods of cool, wet weather. 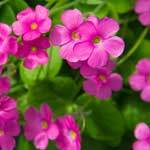 Headway (13 fl. oz./A or 3 fl. oz./1,000 ft.2) combines the power of propiconazole and azoxystrobin to offer effective spring dead spot control and excellent safety on the ultradwarf bermudagrasses, compared to other DMI fungicides. 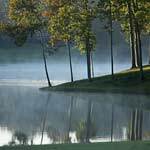 Headway also provides improved winter turf quality and effective control of take-all root rot, leaf spot, Pythium blight and Microdochium patch. For more information about spring dead spot and available control options, view the Posterity information sheet or view the spring dead spot solutions sheet. 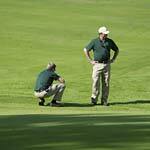 You can also download the GreenCast® Turf App from the Apple® App Store or the Google Play Store. * DO NOT apply more than 14 fl. oz./A in a single application or 28 fl. oz./A per year. ©2018 Syngenta. Important: Always read and follow label instructions. Some products may not be registered for sale or use in all states or counties and/or may have state-specific use requirements. Please check with your local extension service to ensure registration and proper use. GreenCast®, Posterity®, Headway®, Velista® and the Syngenta logo are trademarks of a Syngenta Group Company. All other trademarks used herein are the property of their respective company.